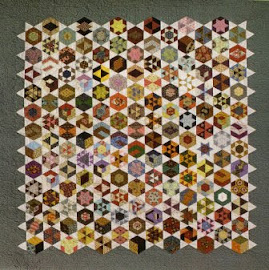 PENNYLANE PATCHWORK: Aussie Quilters, time to start buying from Australian Quilt shops again! I'd like to commend you for your comment on buying locally. I live in US but I am always encouraging people to buy at their local shop or they may not have a local shop to go to. Thanks for posting this. Very well written Penny! It's the same picture in Denmark and it's almost impossible to make a living by this. That's why I'm still holding on to my teacher's job after 8 years in the quilt business. And it's not because I couldn't do with more time in my shop. This is a full job, but for a very small pay. On top of that as a quilt shop owner you'll have to listen to the customers complain about the prices and comparing them with the US shops. The customers would be upset if you weren't there when they needed a reel of cotton. Hope things pick up for you ! I can see you have done your homework, Penny. Lots of good points there. All very true IF you paid $US11 a yard for fabric. I have never paid $US11 a yard for fabric from the US. I routinely pay $US5 to $US9 a yard. Someone in Australia is making a lot of money out of Quilt fabric and I am sure it is not the shop owners. By buying fabric from the US I get to actually make quilts and so buy batting, thread needles etc etc from local quilt shops. I still spend a considerable amount of money in local shops, just not on fabric. Sure you cant feel the fabric online, but if you buy a reputable brand it is not an issue. I am a little tired of the negativity shown to people who buy online. Online shopping in many areas is a fact of life nowadays. Oh and Penny, you were the person who introduced me to Whittles Fabrics at work one night!! I have bought LOTS of fabric from them at $US5 a yard. Hi Sandra, I was hoping to point out the fact that it is not quite so lucrative to buy O/S since some recent changes. If you look at Hancocks 'Just Arrived' lines they are $10.98/yard. As the best fabrics in the range are sold, the prices drop. I have some friends who own quilt shops who are struggling to keep going, hence the post, not negative at all, just encouraging a rethink. Yes, Whittles are still great if you're looking for Reproduction fabrics that you cannot find in a lot of our shops here!